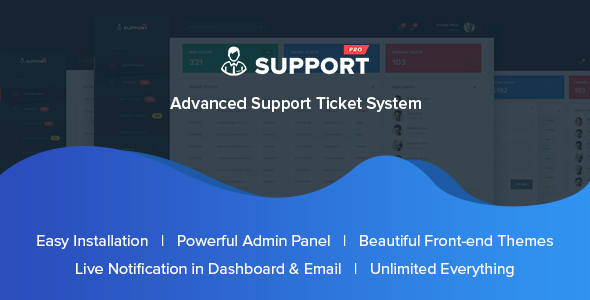 SupportPro â€“ Advanced Support Ticket System is aimed to develop to help companies/authors to easily create their Online Support Ticket System. SupportPro offers a great way of ticket submitting system. It offers both user/client frontend and Admin backend functionality, front end theme switching system and Ajax powered. Now you can have your own customer ticket management system!